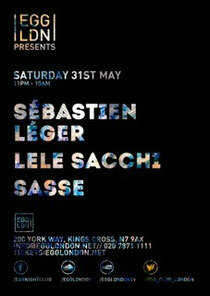 On 31 May, EGG in London invites one of its regular guests back for another party as Frenchman Sebastian Leger returns to the venue, joined by Lele Sacchi and Sasse. French DJ and producer Sébastien owns and manages his own record label, Mistakes Music, and makes house, minimal and electro of the sort that impressed Radio 1 so much they asked him to do an Essential Mix back in 2008. Now though his latest project has been producing his next full-length album, ‘Back To Basics’. In his long career he has also remixed everyone from Deadmau5 to Daft Punk and has proved himself a master of big and heavy club sounds. As a DJ his sounds veer from tech house to electro and back again, always joining the dots between the old and the new in style. Lele Sacchi is possibly recognised as one of the leaders of Italy’s electronic and house music scene. 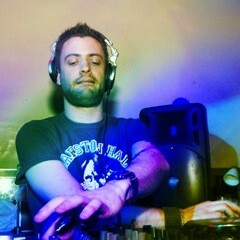 He has DJed all over the world and released tracks on labels like 2020Vision, Get Physical and Moodmusic. Sasse is boss of the Moodmusic label and has been a force in deep house for years. As well as working with Ewan Pearson, Sasse solo has released some albums as well as EPs on his own label as well as Room With A View and Berwick Street.